Muscle and Weight Loss Goals – Stop Chasing the Byproduct! When it comes to your goals, are you focusing on the wrong things? We are getting to that time again. Gym memberships are about to skyrocket. Every treadmill will be occupied. “I’m going to lose 15 pounds this year!” “I’m going to stick to a strict (insert unsustainable diet here) for all of 2018!” #FITNESS! #NEWYEARNEWME! This is usually followed three months later with feelings of discouragement and getting back to the same old habits you had in December. What is the primary culprit for this? It is bad goal setting. Instead of taking an honest look at where we are and where we want to be as an entire human…all we focus on is weight loss and muscle gain. Unless you are a competitive bodybuilder or physique model, the focus is too narrow. Results of just weight loss or muscle gain come slow. Usually too slow for most people to stick with. Competitive bodybuilders and physique models dedicate time and effort to their bodies that most of us simply do not have. For them it is a lifestyle and a career. Many also take substances that you may not be willing to put into your body. This is not a path to success for most of the population. In fact, for many people this can create some very unhealthy paths. Body dismorphia and unhealthy eating habits can creep into the lives of people that are not mentally ready for a bodybuilder type of program. Bodybuilders train for months to look absolutely amazing on stage for ONE DAY. How would that type of programming carry over to someone who wants to look and feel healthy all of the time? The answer: It doesn’t. Weight loss and muscle gain takes time. Constant monitoring of the scale becomes disheartening. Going up instead of down (it WILL happen) makes you feel like what you are doing is hopeless. If you are dedicating your resolution to these goals alone, you are likely going to become frustrated quickly. The initial excitement and motivation that you had on January 1st will have faded, and in its place is now a feeling of failure. Sir Isaac Newton’s Third Law of Motion applies directly to how we train. Going off the deep end on your diet and training will not have the effect you desire. If you spent the past year being inactive, not eating well, or generally making poor lifestyle choices, then what do you think is going to happen when you try to do the complete opposite? A rubber band can only stretch so far before snapping. BUT NOT ALL HOPE IS LOST! THERE IS A BETTER WAY! People that successfully lose weight and gain muscle know those achievements are the byproduct of something much bigger. They are not actively seeking to lose weight or gain muscle…they are actively seeking to obtain new skills, PR lifts, and improve movements. They set physical challenges for themselves and program their fitness accordingly. What physical goal have you always wanted to accomplish? Is it your first pull up? Complete an obstacle course race? 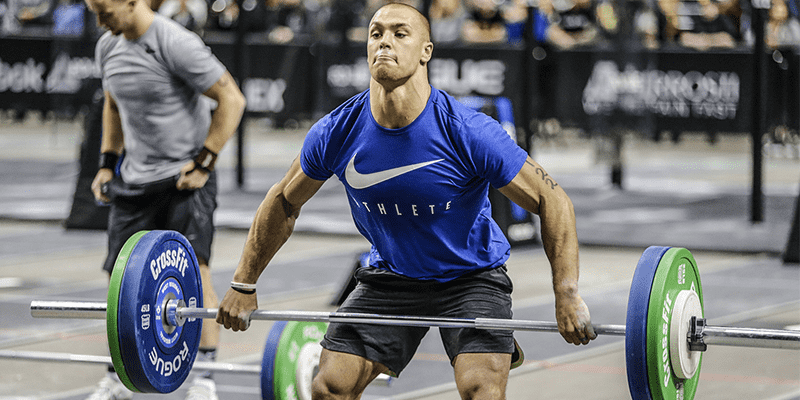 Become proficient at Olympic Weightlifting? Dig deep over the next few weeks and find what tangible goal you want to accomplish in 2018. Make THAT your New Years’ Resolution. What should the physical goal look like? Your physical goal should not be an easy one to achieve, but needs to be attainable. Your goal needs to be complex. There should be smaller goals throughout the process. I will use completing an obstacle course race (OCR) as it meets the above requirements. In order to train for an OCR you will need to work on multiple skills. This allows you to design a training program with variety as well as having those smaller goals. You will need to improve your running, hiking, carrying heavy and awkward objects, and pulling your own body weight. You will also likely need to become proficient in the dreaded burpee. While training for your first OCR, you are going to see progress being made. You may develop skills such as rope climbs and pull ups. You will see run times improve. You will find you can lift and carry heavier objects over longer distances. Achievement leads to adherence. When you are achieving small weekly and monthly goals along the path to your primary goal, you are more likely to stick with a program. You will also start to feed yourself for both energy and recovery. The days you eat poorly will be followed by days that you do not perform as well in your training. This will start to stick. When you see those cookies at the grocery store, or your buddies are trying to get you to the bar, think to yourself “What do I have to train tomorrow?” and “Will making this decision now help or hinder that training?” Sometimes you may say to hell with it and do it anyway…and that is ok. The feedback loop you are developing will set you on the right path. Your healthy, moderate, sustainable diet becomes the byproduct of your goals. See what is happening here? You are getting stronger, losing weight, and eating better. Of course this is not your focus. It is the byproduct of the physical goals you are achieving. You are developing a mindset for performance which is far easier to adhere to than the mindset of misery that accompanies forced exercise and diet to reach a weight loss goal. Come up with a goal that will bring you pride upon its accomplishment. Design (or have a coach design) a program to help you achieve that goal. Develop your eating habits to align with your goal. Just for fun, measure your weight, body fat percentage, and muscle percentage on New Year’s Day. Test it all again as you approach the final days of your training. I am confident what you will find is after developing those skills, getting stronger, and moving faster… that the byproduct is you achieved that same goal that so many people on New Year’s day set out to achieve, yet so few did. Of course what do you do after your goal has been accomplished? Rinse, lather, repeat… Find a new goal and repeat the cycle again. Happy New Years, Everyone. I hope everyone has an amazing 2018.